Update: This giveaway is closed, I'm contacting the winner. Thanks for joining and stay tuned for more giveaways in the future! Anyway, I digress. 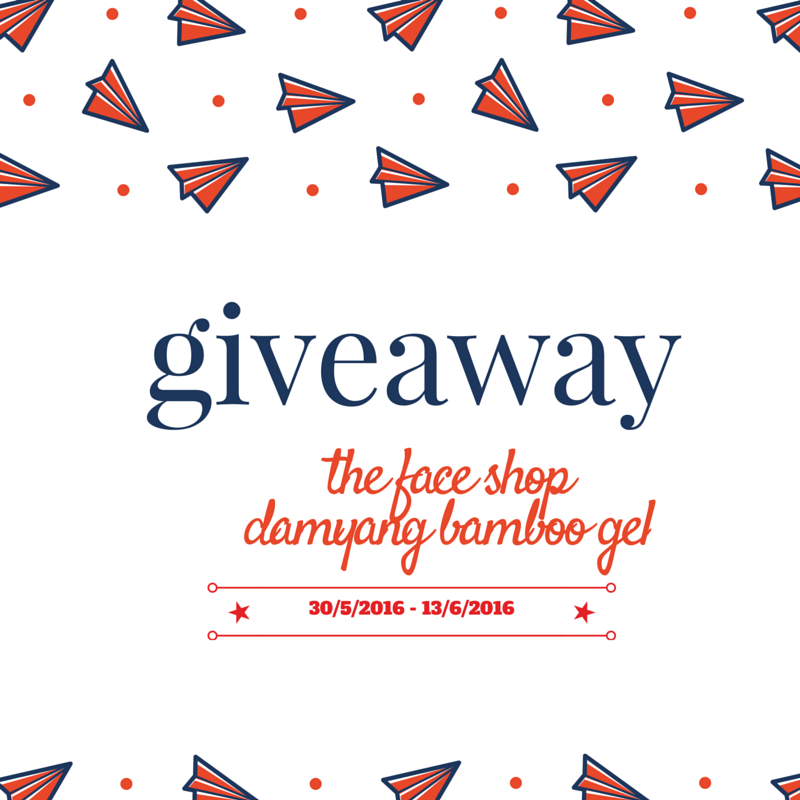 I bought The Face Shop 99% Damyang Bamboo Gel when they are having 1+1 sale couple of months ago. I was actually looking for aloe vera gel after I tried one from Nature Republic, and when I saw the 1+1 sale I need to get it! The staff showed me the texture difference between the bamboo gel and the aloe vera gel, and you can really feel that the bamboo one is more hydrating, therefore I opt for the bamboo gel. My logic is definitely flawed. Came for the aloe but bought the bamboo version instead. Damyang is a place in Korea and supposedly they got the bamboo extract for the gel there. The packaging looks like a section of bamboo cut out. It's super cute. Did I tell you it's also humongous? I had only gone through half of it after two months. There's a few things that I like about the gel and few that I don't like. 2. I had turned it into a perfumed lotion. The gel was good as a moisturizer, but if you mix a dollop with few drops of perfume, it'll turn cloudy and will become like a lotion instead. It did not separate even after few weeks. I had success with both oil and alcohol based perfumes. 3. I had used it as a base to fix my broken highlighter. I do not know how I got the inspiration lol. I think I ran out of rubbing alcohol and just said "screw it" and try adding the gel instead. To my surprise, it actually worked! I actually want it to be a cream type highlighter by adding the gel, but it dried out just like rubbing alcohol will dry. It takes longer to dry (around 2 days) but using it while it's in the spongey texture was actually fun too. 4. I used it as a sleeping mask. It worked well, but I still prefer my Laneige sleeping mask. I also use it as a base to mix with my powder mask. 5. I used it as a sunburn treatment. When your face feels like melting under the sun and you pat this on, you will feel like heaven. Seriously, keep the jar inside the fridge and slap this on when it's 32 Celcius. Your skin will thank you. It's like an ice cream treat for the skin. 6. It smells fresh. It smells like green tea/bamboo leaves after rain. So refreshing. 2. Not mixing well with foundation. One of the reason I got it is to mix it with my foundation so that I can have a tinted moisturizer. Probably my foundation contains a lot of silicon and somehow it just doesn't want to mix well with the foundation. 3. It is not as smoothing as the Nature Republic Aloe Gel. Which is the first reason why I wanted that aloe vera gel so much. Cue sad face. Overall, the gel is actually so versatile. I feel that everyone should have either this gel or aloe gel to help face the sun especially in our weather. 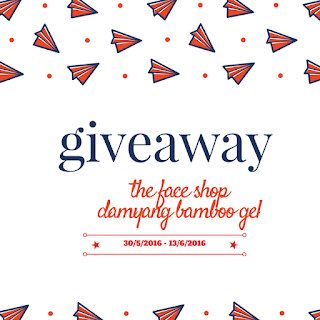 Therefore, I want to give ONE NEW 99% DAMYANG BAMBOO GEL to A LUCKY READER. Follow the steps below! BE IN MALAYSIA. more specifically, the address of the package to be send out must be in Malaysia. You can be across the world, but if you have an address in Malaysia, you're qualified! I just added Follow This Site widget, which Google had actually removed from the list of the widget to add, sneaky sneaky! But I got the widget now!! 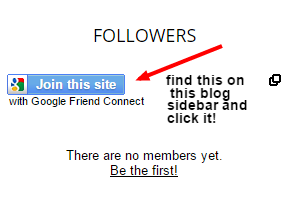 LOL, so please follow the blog publicly so I can see you! COMMENT ON THIS POST AND ANY OTHER POST ON MY BLOG. Let me know if you want to enter and leave your email! Both comments must be posted from 30/5/2016 to 13/6/2016 to qualify. If you posted a comment before this duration, please find a new post to comment. Winners will be picked randomly. Result is final and cannot be contested. Giveaway duration is from 30 MAY 2016 until 13 JUNE 2016 (11.59PM). Winner will be contacted through email on 14 JUNE 2016 and announced on another post. If the winner does not respond after 24 HOURS, new winner will be chosen. CHECK YOUR EMAIL! Item will be sent out to the winner within 2 weeks. Followed back! Love your liquid lipstick reviews. Will wait for more local produced liquid lipstick swatches from you. Thanks for entering! Oh yeah! Girls you need to join this giveaway. I have one at home too. This is awesome to win. Willing to try this product after read your review hehe! I just use their nail products which is very nice too! LOL I'm totally like you. Plan to buy A but always get B, C and D. All the best to those who are joining! look nice~ the Gel so transparent.. I'm using their bamboo gel too! It's really good for people with sensitive skin. I like the soothing bamboo gel, its so comfortable on the skin. I want it too. Followed you and my email is janechua18@gmail.com. Hope to be selected. this looks amazing! will try out the product with the recommended tips. thanks for sharing! I am using now too!! !This product very very useful!!! Good product it seems. But will it be very good for a sensitive skin too? nice giveaway! Good luck to all who joined. i'm using this too.. Nice product ! Good Luck for the those who joined. foloow you folow me back ya.. i like the idea of your multi purpose use.. i want to win the give away too..
Oh mine thank you very much nor fateen!! This is honestly the first time I've heard of bamboo gel! From the packaging I thought it's actually aloe vera gel. follow your blog and Hope I can win this as it good for my sensitive skin.